These low-growing evergreen ground covers play a valuable role in the garden. Use them to fill in bare ground as a sort of living mulch. Why not grow something that grows densely and helps choke out weeds? Almost like having a built-in gardener's assistant. Plant them around the bases of shrubs or trees for color, texture and a progression of height. Intersperse them in a perennial border for winter color when the perennials die back. Planting bulbs to emerge through the foliage helps to hide the dying bulb leaves later. Turf grasses, of course, are ground covers, but we use them in much broader expanses than those we traditionally consider ground covers. Evergreen ground covers can be used in place of grass in some instances for lower maintenance, or to define an area. They are great to use on slopes or other areas that are dangerous to mow. Consider planting islands of ground covers under groups of trees both to cut down on the size of the lawn and for variety of color, texture and shape. Ajuga reptans, bugle weed, Zones 3-9. Bugle weed is an attractive ground cover all year, but especially when it sends up flower spikes of white, pink, blue or violet in spring. It is especially nice as an overplanting for bulbs to emerge through. It multiplies and spreads quickly--sometimes even into the lawn--but is easily controlled. Some good cultivars include 'Black Scallop' with dark purple leaves; 'Chocolate Chip,' a miniature form with small leaves; 'Burgundy Glow' a tri-color variegation of cream, burgundy-rose and dark green; and 'Caitlin's Giant' with large bronzy-green leaves. Arctostaphylos uva-ursi, bearberry or kinnikinnick, Zone 2-6. This one is for the northern zones. 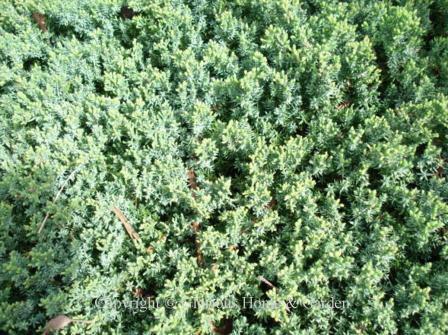 A low-growing evergreen ground cover that forms a wide spreading mat by rooting at stem nodes and about 12” high. 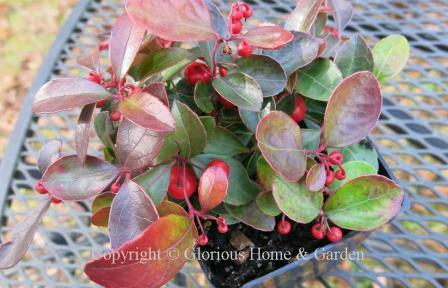 White blueberry-like flowers appear in spring followed by bright red fruits. 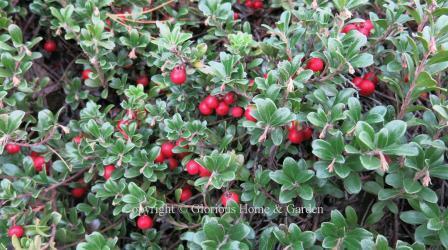 Cotoneaster dammeri, bearberry cotoneaster, Zones 5-7. Daboecia cantabrica, Irish heath, Zone 6. Daphne cneorum, rose daphne, Zone 4-7. Erica carnea, winter heath, Zone 5-7. Fragaria chiloensis, sand strawberry, Zones 7-10. 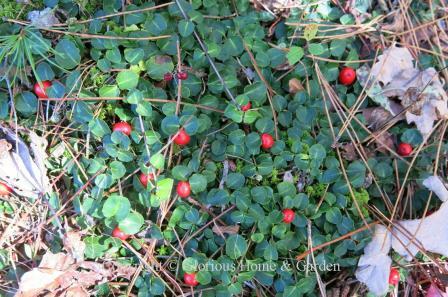 Gaultheria procumbens, wintergreen, Zones 3-6. 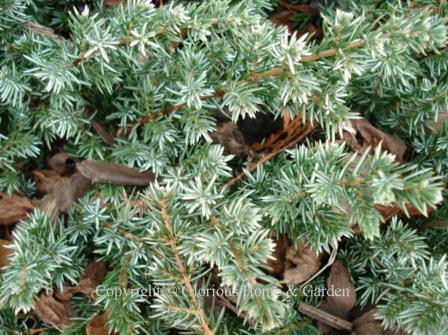 A charming evergreen ground cover for shady woodland situations with good drainage. The leaves, which smell of wintergreen when crushed, hence the commons name, turn red in fall and make a good foil for the red berries which remain until spring. Hedera helix, English ivy, Zones 4-9. 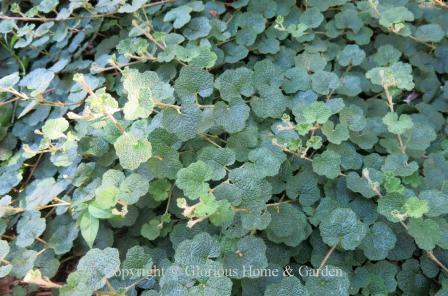 One of the best ground covers for heavy shade--but beware, it can become invasive and climb into the tops of tall trees where it will block out sunlight. Helleborus orientalis, hellebore or Lenten rose, Zones 4-9. 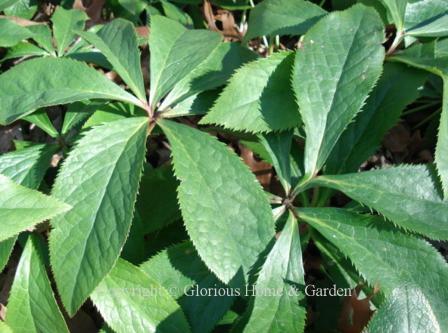 The thick, leathery leaves are attractive all year and make a beautiful companion for camellias, rhododendrons, azaleas and other part-shade loving plants. Look for some of the new cultivars with mottled leaves. 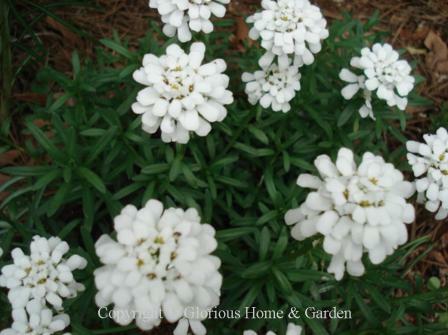 Iberis sempervirens, candytuft, Zone 4-8. Juniperus conferta, shore juniper, Zone 6-9. Juniperus horizontalis, creeping juniper or carpet juniper, Zone 4-9. Liriope muscari, blue lily-turf, Zones 6-9. 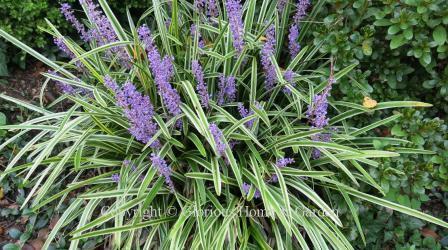 Used extensively in the South as a ground cover and as an edging plant for beds, liriope forms thick clumps that help keep out grass and weeds. Purple flower spikes emerge in summer followed by black berries. They are typically mown over in late winter or early spring to remove the tattered old leaves before the new growth appears. 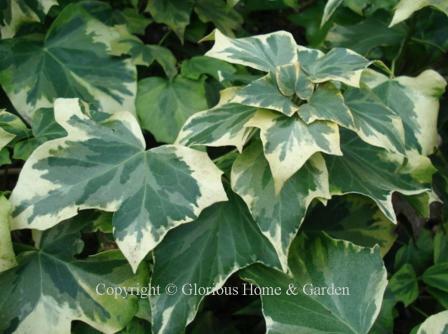 There are gold or white variegated varieties and white flowered cultivars as well. Liriope spicata, creeping lily-turf, Zones 4-9. Mahonia repens, creeping mahonia, Zones 5-8. Mitchella repens, partridgeberry, Zone 3-9. 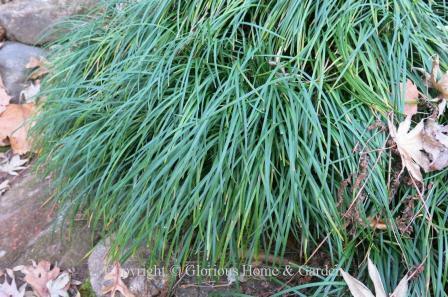 Ophiopogon japonicus, dwarf mondo grass, Zones 6-9. Dwarf mondo grass is a very useful evergreen ground cover. It can be used to mimic a turf lawn for an expanse of green, as an edging for a border or to soften stones along a stream as shown here. It is happy in sun or partial shade and needs little care other than a mowing in late winter or early spring before the fresh, new leaves emerge. Pachysandra terminalis, Japanese pachysandra or spurge, Zone 4-9. 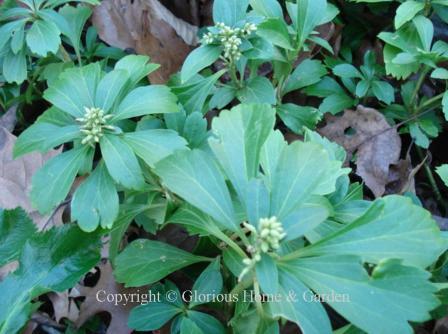 Pachysandra is a attractive ornamental evergreen ground cover for a shady woodland. Even though it spreads rather quickly via rhizomatous roots, I would much rather have it than English ivy if I needed a shady ground cover--at least it doesn't climb trees! Paxistima canbyi, Canby's paxistima, cliff-green or mounain-lover, Zones 3-6. Rubus pentalobus, creeping raspberry, Zones 7-9. 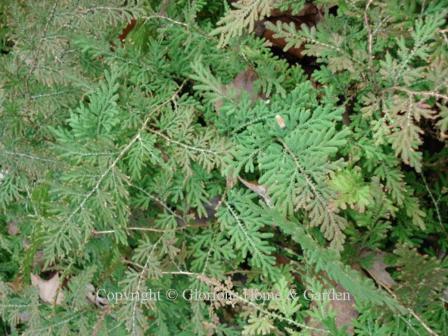 Selaginella braunii, arborvitae fern, Zones 6-9. Arborvitae fern is not a fern, but a spikemoss, a fern relative. 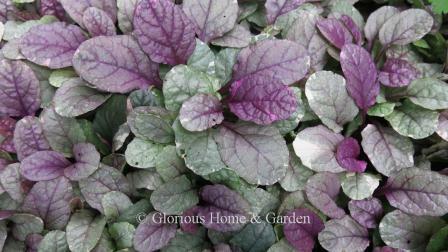 It is a most attractive ground cover for a shade garden. Selaginella uncinata, peacock spikemoss, Zones 7-9. So-called peacock moss, is not a moss, just like the arborvitae fern above is not really a fern. Can we just get used to calling them spikemosses? 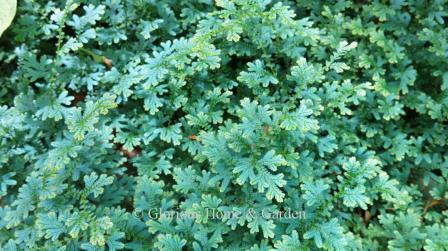 Good for woodsy, filtered sunlight situations where it will form a dense mat of metallic blue-green foliage, 2-4” high. Thymus serpyllum, thyme, Zone 4-8. Vinca major, large periwinkle, Zone 6-9. Vinca minor, common periwinkle, Zone 4-9. Vinca minor is an attractive, low-growing evergreen ground cover that trails the ground, rooting at stem nodes as it goes. 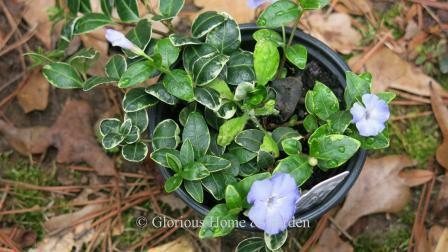 Vinca minor is hardier than V. major, and is smaller in all its parts. It flowers in spring in colors of blue, white, or purple. ‘Ralph Shugert’ is an attractive cultivar with variegated leaves and blue flowers.